Offer HD video USB flash drive as a DVD alternative. Standard DVD video files are low resolution 480P and don't look great on modern HD (1080P) and 4K (2160P) TVs or computers. Smart TVs have USB ports. All modern smart TVs have USB ports. Many smart devices like Apple TV, ROKU, Amazon fire TV can be connected with USB Flash Drives (some need adapters). Offer an HD USB flash drive product. If your original video content files are HD or 4K, offer those files on USB flash drive and let your customer choose between USB or DVD. 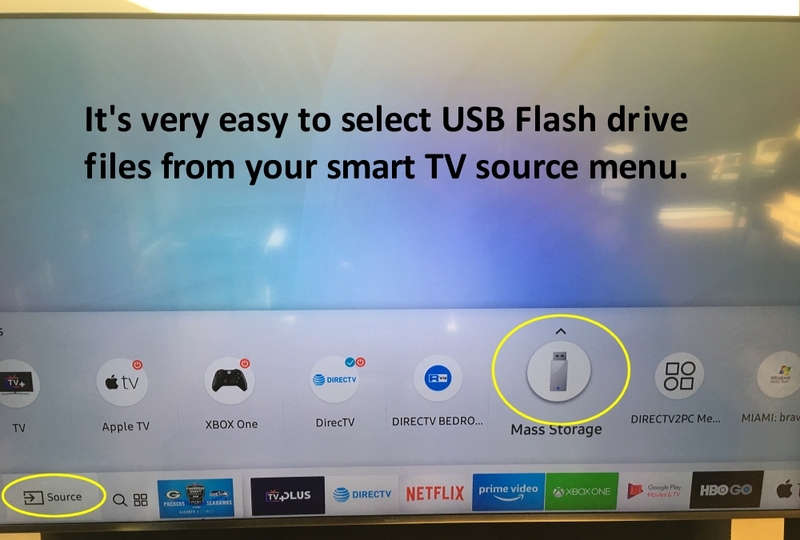 All new (and many older) smart TVs, computers, and other streaming devices have USB ports for USB Flash drives. Most will support a wide variety of file types ranging from video files (mp4, mov), images (jpg), and audio files (mp3, wav). If your original video was high resolution, that quality was lost when it was converted to a video DVD. Video DVDs that play in a DVD player can not display any images at a resolution higher than 480P. This means all modern screens show a fairly poor quality "up convert" when playing those images. Many of your customers will not buy a standard 480P dvd, and will only purchase a bluray disc which is 1080P. Consider creating a 16GB USB Flash drive project. Your content could contain the original HD video files. Modern TVs will display the files in an easily understandable format which often includes thumbnail images of parts of the video. This eliminates the need for the DVD menus that are part of the standard DVD authoring process. TrepStar does not offer Bluray or dual layer DVDs. If you have HD content, consider the USB Flash drive as the modern alternative. What Files Go on the USB? First, create a 16GB USB Flash project on TrepStar. 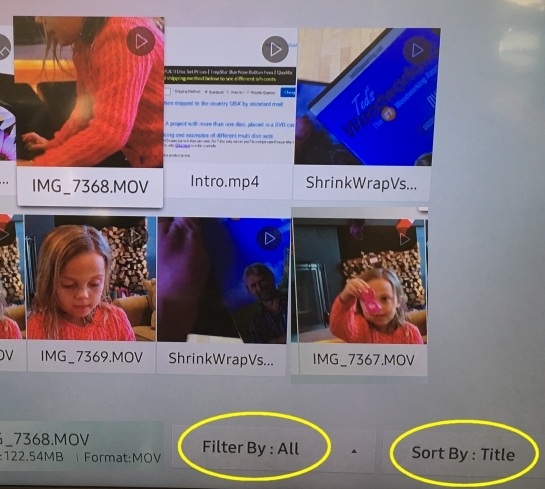 Think of thoughtful names for your video files and place them in a folder on your computer. 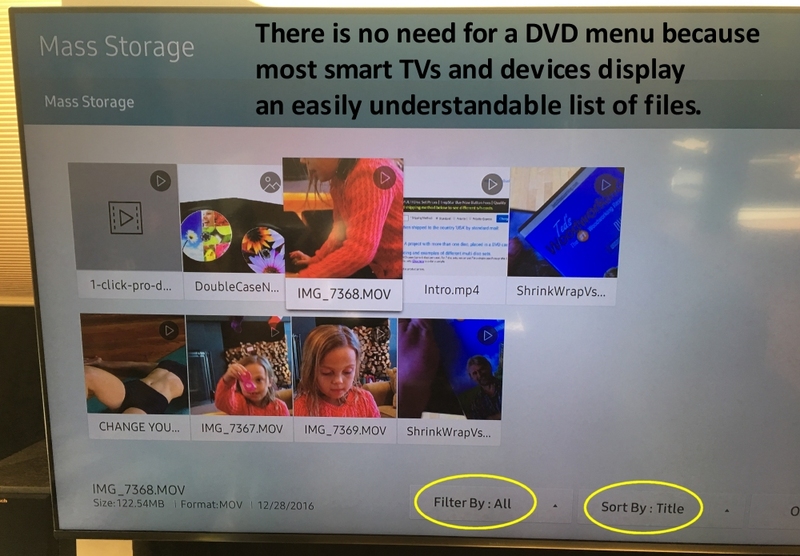 Most Smart TVs can view standard DVD vob files. If you have your source .iso files, you can extract the vob files to your computer (an unzip program like winzip or many others). 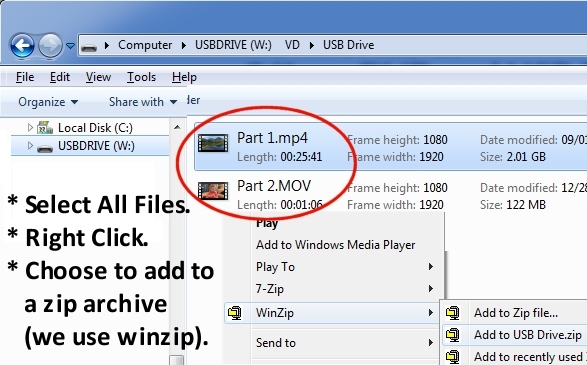 If you don't have your original HD mp4 or mov files, you can use the vob files. Test it: If you have a USB Flash Drive sitting around, copy your set of files to the flash drive and plug it into your Smart TV. When finished, you need to "zip" up the files. You may need to install software like winzip. You will upload this final .zip file to your USB Flash Drive project from within the TrepStar dashboard. USB POD (print on demand).